Husband and Son are big fans of the boy wizard Harry – they have read all the books and seen most of the movies. I am in the “if you can’t beat them join them” camp meaning I am a bit of a late convert to Harry Potter – I’m getting there! 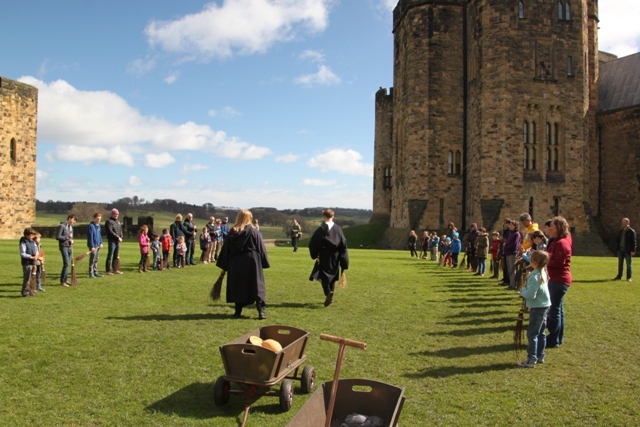 I can hold my own at this stage, so although not yet a true diehard fan, I did still enjoy the Harry Potter themed activities at Alnwick Castle. The first two Harry Potter movies were filmed here – so were Elizabeth and Robin Hood Price of Thieves but nobody mentions them much. 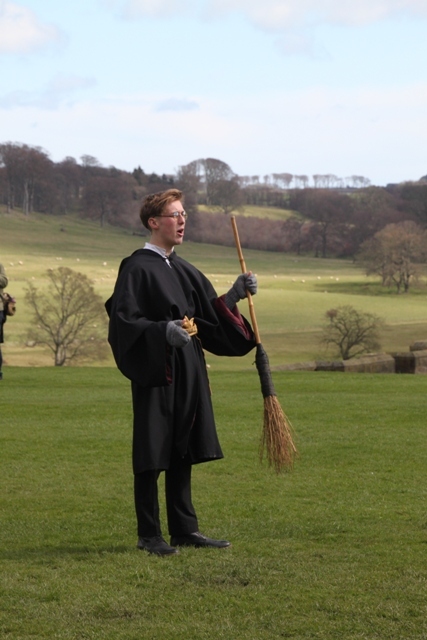 At Alnwick it is all about Harry. 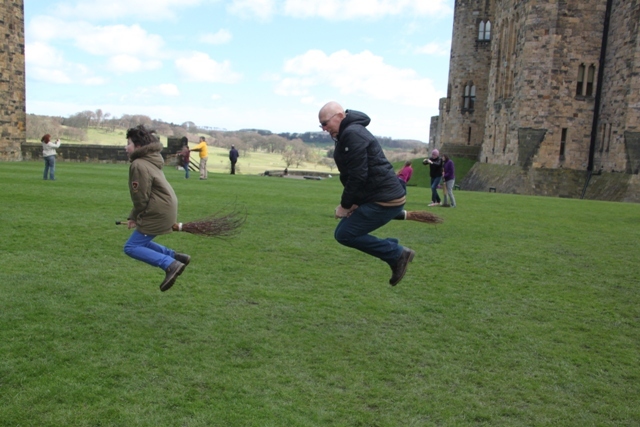 The grounds are instantly recognisable as Hogwart’s quidditch pitch – Harry learned to fly his broomstick here, frenzied excitement in this family when we realised we too could undergo broomstick flight training. Tickets were sorted as soon as we arrived, this was a must. You join the resident wizarding professors – a rather bossy lady and her sidekick both dressed in Hogwarts uniforms. 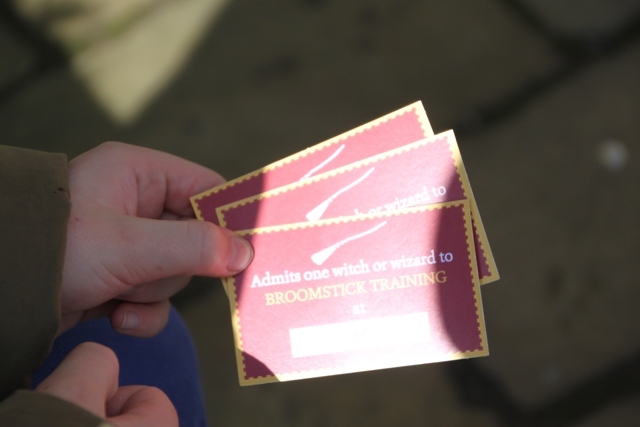 They conduct the broomstick training session at the very spot where Harry had his first flying lesson in The Philosopher’s Stone. The session took about 20 minutes, involved much hilarity and running around with a broomstick between your legs, but look at them – after 20 minutes they could fly!! 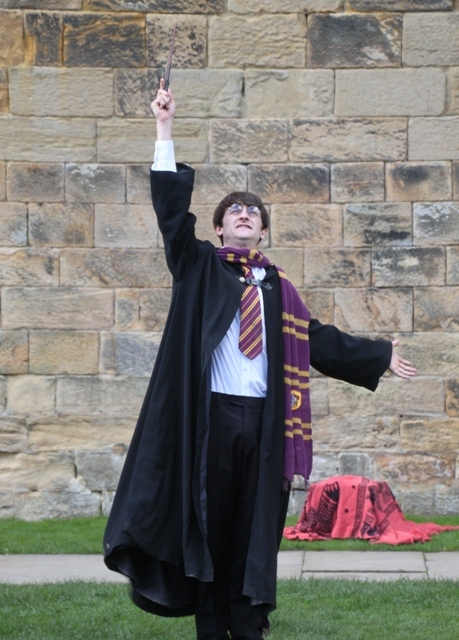 Next up was a magic show – a (seriously good) Harry Potter lookalike stumbled around the courtyard followed by a crowd of people, set up his bits and pieces and started a little magic show. 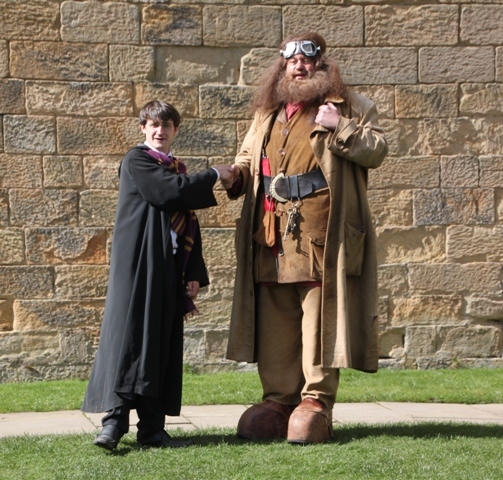 It was great and even better when Hagrid appeared. 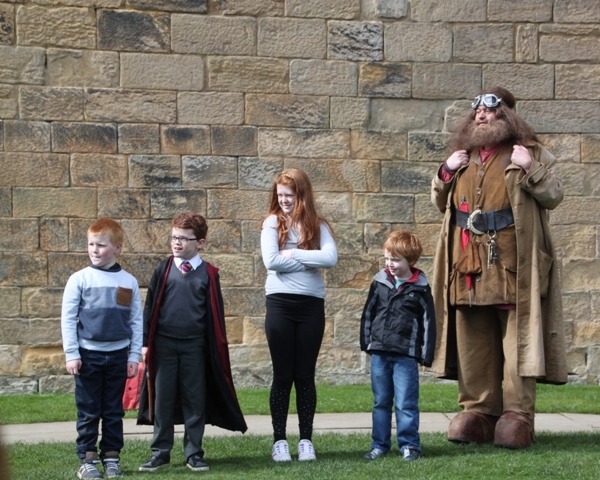 Lots of humour, some magic tricks and an introduction to Ron Weasley’s cousins! The whole thing was so funny and clever, made better by humour on two distinct levels for adults and children. Just what I like. We finished off with the Harry Potter guided tour. 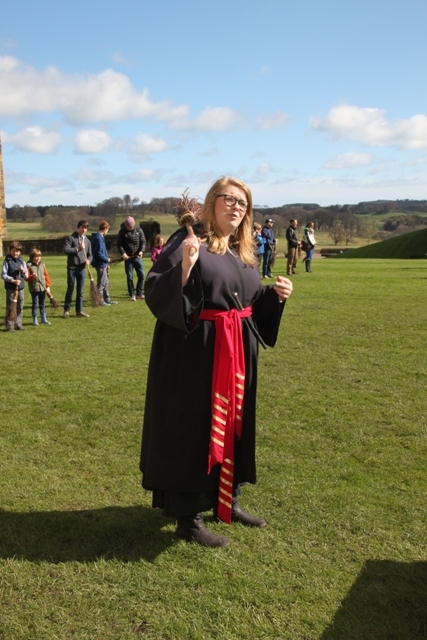 A costumed Hogwarts guide took us around the castle and grounds, regaling us with behind the scenes anecdotes from the days of filming. She pointed out places we could easily recognise from the movie and all the stories she told were absolutely fascinating. The only negative was it finished far too soon. Husband and Son left buzzing, I left with a renewed interest to get on with the books and schedule some screen time for a few more of those movies. You don’t have to be a Potter mega-fan to enjoy this side of Alnwick, you just might find you become one having had your appetite well and truly whetted. this place looks super cool! Love it! It’s a lot of fun and really interesting to see where they filmed all the different bits of the movies. the grounds look so pretty! That all looks brilliant! I wish I had gone there with my kids before we left Britain as we are huge Potterphiles. Have you been on the studio tour? It’s amazing and I cannot recommend it highly enough. It’s pricey but good value for money. It’s a great day out – interesting but lots of fun too! Yes, we did the studio tour about a year ago and loved that too, almost wouldn’t mind doing it again. This looks AMAZING! I am a huge Harry Potter fan and would love to go here. 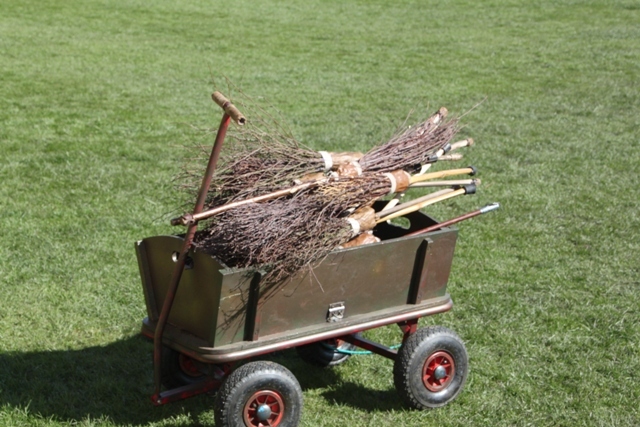 Who doesn’t want to take broom flying lessons? Definitely – it was such a great day! Loads of fun but so interesting too. OMG! I would have loved to do this, and wouldn’t even care that I’m 30 and don’t have a kid to take with me. ROFL. It was great fun – as much for adults as kids really so you didn’t even need to have one to bring along!! Oh I have to go!! This is wonderful. 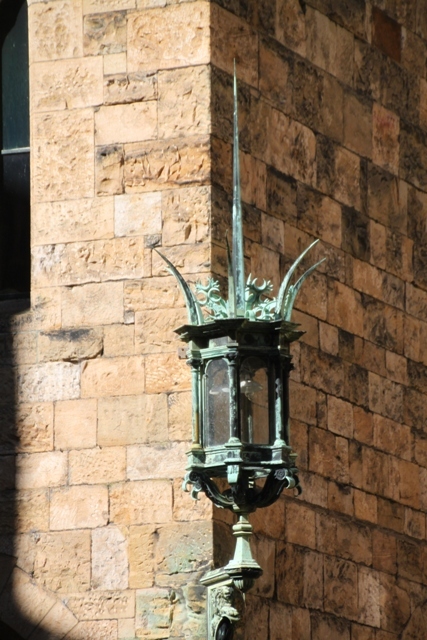 And Robin Hood Prince of Thieves was filmed there too? (I find that super cool too being a closet Christian Slater fan as a teen). Is it open all year? I think it closes in winter – sometime around the end of October and then reopens at Easter time. But it is great! Definitely – not something we will forget in a hurry! It was Jeyna – you don’t get to do this every day! I love those books. Not sure I’d ever pass as a “diehard fan” but I’d be happy to go along. Sounds like they make it worth the while by being entertaining (and just look at that flying photo – priceless!). It’s a fab day out – the photo took a few goes but worth it in the end! I want to go there! wahhhhhhhhhhh! It is fab – loads of fun! Normally I do not read post on blogs, but I would like to say that this write-up very forced me to check out and do so! Your writing style has been amazed me. Thanks, quite great post. Thank you – for the kind words and for dropping by and reading! Oh this is totally going on my list. 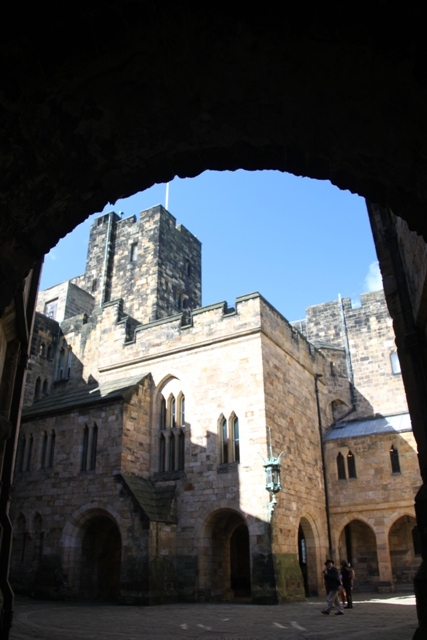 It’s a great place to visit – interesting and a lot of fun too.